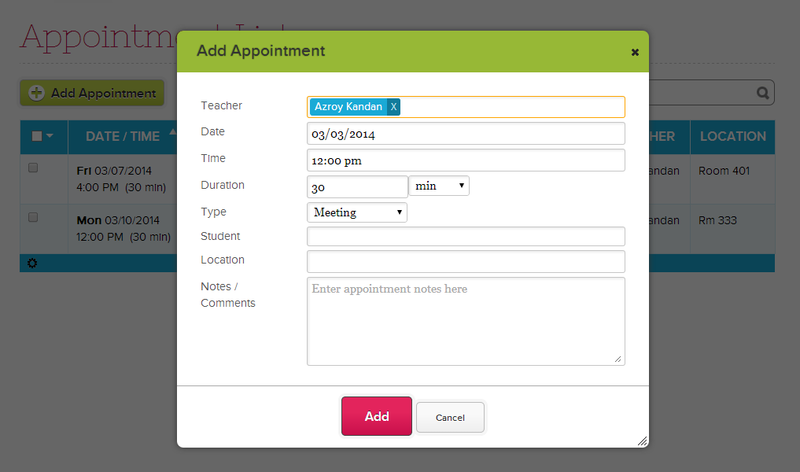 The Appointments app allows admins and teachers to track teachers' appointments with their students or families. The app is available for install from the App Store. Right now, appointments are only between one teacher and one student. Let us know what you think, and if you have any further suggestions for improvement. We look forward to hearing from you. Check out other apps on the QuickSchools App Store.